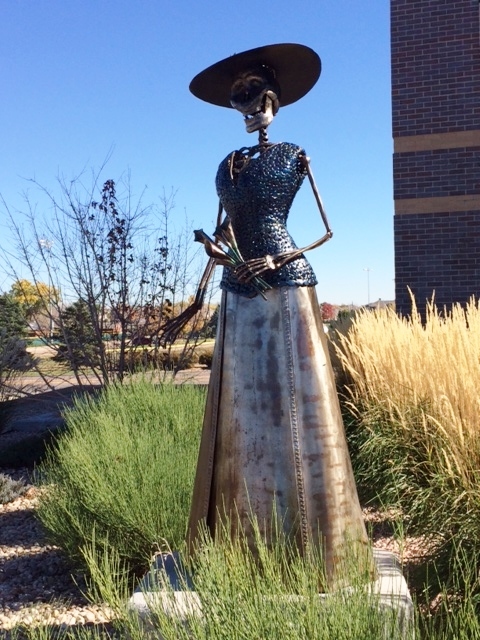 Last weekend I installed Lady Catrina in front of the Broomfield Fire Department Headquarters, Broomfield, Colorado. 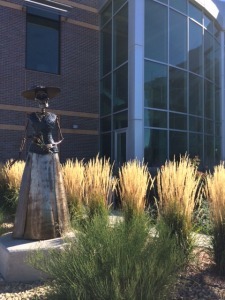 The City of Broomfield submitted a sculpture request on Café (Call for Entry, an online National system for art entries) in July 2014. The request was for an outdoor sculpture to be submitted into their “Art for Awhile” program, on loan, for one year. This gives the artist public exposure and an opportunity to sell the piece while it is on loan. 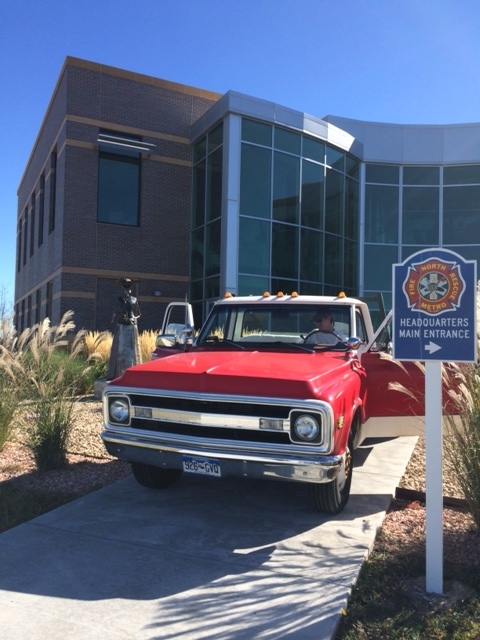 The installation day couldn’t have been better, late October, 76 degrees, sunny with the Colorado blue skies all day! She will be there until October 2015, so swing on by 101 Lamar Dr, Broomfield, CO.